The Dremel PLA (polylactic acid) filament has been specifically designed to work with your Dremel 3D printer for optimal results. The PLA is a thermal plastic that softens when heated to create your design layer by layer effortlessly with a high quality finish. 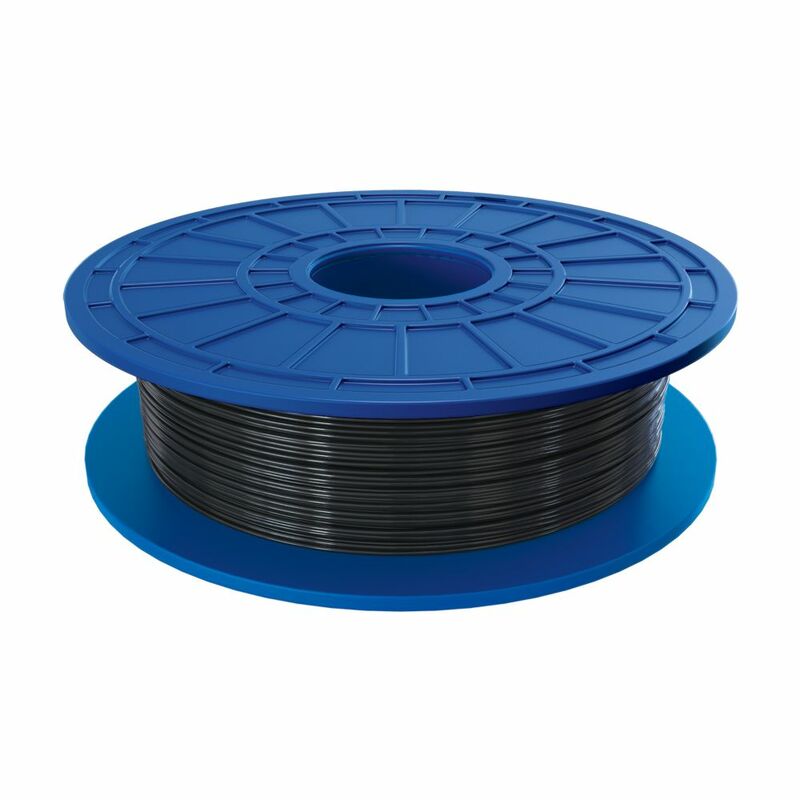 PLA 3D Filament in Black The Dremel PLA (polylactic acid) filament has been specifically designed to work with your Dremel 3D printer for optimal results. The PLA is a thermal plastic that softens when heated to create your design layer by layer effortlessly with a high quality finish. PLA 3D Filament in Black is rated 4.3 out of 5 by 12. Rated 5 out of 5 by Jeff from This product did not fit in my printer. My printer said WARNING: LOW INK and this definetly didn'... This product did not fit in my printer. My printer said WARNING: LOW INK and this definetly didn't fit in the ink cartridge spot. I would not recommend this to anyone. Rated 5 out of 5 by magneto from It works as expected. It works as expected. Rated 2 out of 5 by Consumer from Good quality but, Filament comes tangled sometimes Recently I bought seven spools of Dremel PLA filament and Found two of the spools tangled half way of being used. I have a message for you Dremel and for the ridiculously high price for your filament and providing only a half a kilogram vs. one kilogram and it costing more than other filaments, and claiming that your filament is better than others. You should try better at making it as good as it sounds. Rated 5 out of 5 by rrpwge from Great filament Have used over well over 40 spools of Dremel filament. No tangles, no porosity, and no breaking. I have never had an issue that was caused by a flaw in the filament. Vibrant colors, and the resulting 3D models are stunning! Rated 5 out of 5 by carlbeck from Very Good Filament This filament worked flawlessly in my Dremel Printer.